Life Force Platform is a highly effective innoculant that contains Mycorrhizal fungi, Trichoderma and benefical bacteria. Mycorrhizal fungi extend the root system of your crop to increase available plant nutrition, while Trichoderma act to protect the root zone from soil-borne pathogens. The combination of Mycorrhizal fungi and Trichoderma into one blend is very unique because normally Trichoderma will attack Mycorrhizal fungi due to Trichoderma's predatory characteristics. This blend however, has selected specific varieties of each species that work in concert so that you receive the dual benefits of both species to expand your root system's capacity to reach mineral nutrition and decrease root disease. The addition of beneficial bacteria serve several roles including nitrogen fixing, stimulating plant immune defense to supress soil-borne disease, and improving nutrient availability in the soil. 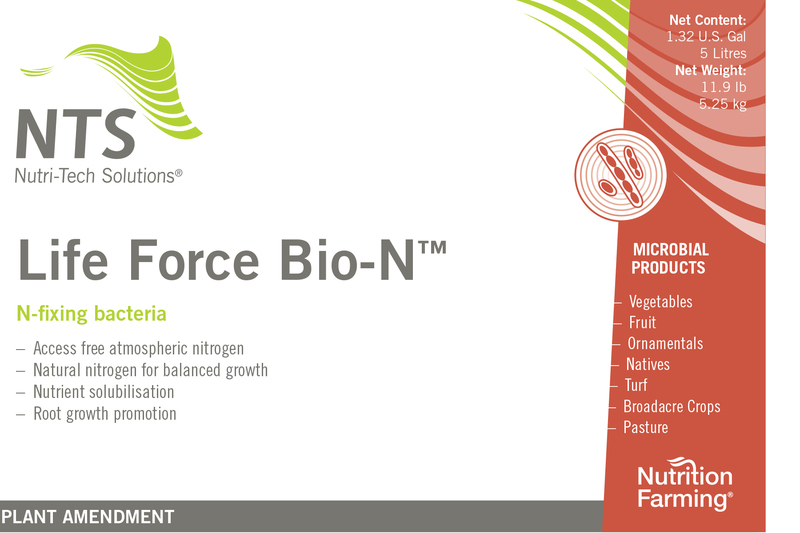 Life Force Platform™ is a registered trademark of Nutri-Tech Solutions P/K (NTS) www.nutri-tech.com.au.